Julie and Henry are such a sweet couple from Los Angeles and met while they were still in college. At first, Henry was Julie's brother’s friend that had been attending their family church during Friday Night Studies. Sharing similar majors in engineering, they studied together and played competitive Ping Pong at their Korean church. But as they casually got to know each other in time, they realized that they should be more than friends. They dated for 4 years and finally Henry surprised Julie with his proposal during a park picnic date. They are both excited for their wedding inviting 200 plus guests including some family coming in from Korea. They are having their wedding at the Coto Valley Country Club in Coto de Caza, CA. Planning on blending their love for both elegant with rustic, they felt this venue was a perfect fit. 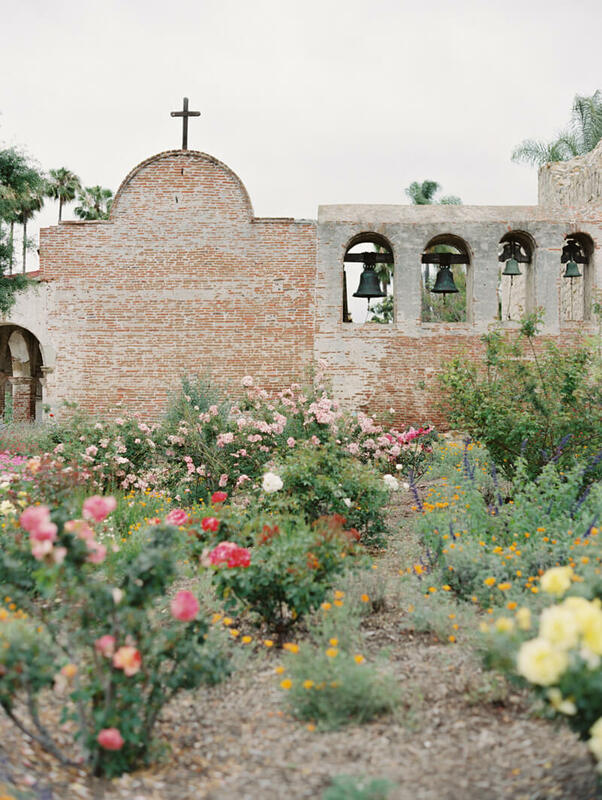 As Julie and talked about their engagement session, we felt like the nearby Mission San Juan Capistrano was a good match for their style. Their florist, Handbloom, even designed a bouquet for their engagement session!